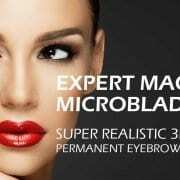 Microblading or 3D eyebrow tattoos are the solution to waking up looking amazing every day. With our help, your brows can go from sparse to spectacular, framing your face perfectly and creating an effortlessly gorgeous look all day, every day. If you’re considering having your eyebrows tattooed, you may understandably be feeling concerned about the actual process involved. Nobody likes the idea of needles to the face but understanding exactly what goes on at your eyebrow appointment can help to put your mind at rest. Here’s how we do it at MW Aesthetics. Telephone consultation: We’d love for you to give us a call and discuss your potential treatment. We can check there aren’t any medical reasons you can’t have 3D brows done and will ensure all your questions about the process have been answered. Booking an appointment: Before we can confirm your appointment, please check our current availability. To secure your appointment we require a £50 non-refundable deposit to reserve your space. The remaining balance can be paid by cash or card on the day of your appointment. Skin sensitivity patch test: To ensure there will be no adverse reaction to the inks we use, we’ll send you out a patch test by post. Allergic reactions are extremely rare, but we’d rather be safe than sorry. Once all this is completed, the next thing is for you to come in and have your treatment. Consultation: The face to face consultation is a great time for you to ask any last minute questions you might have. 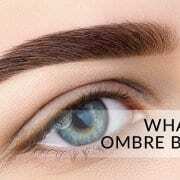 It’s also an opportunity to discuss the shape and colours you’d like to use, and to learn about the techniques we use to give you gorgeous, natural looking brows. We’ll also run through your aftercare requirements, so you’re prepared for what to do once you go home. 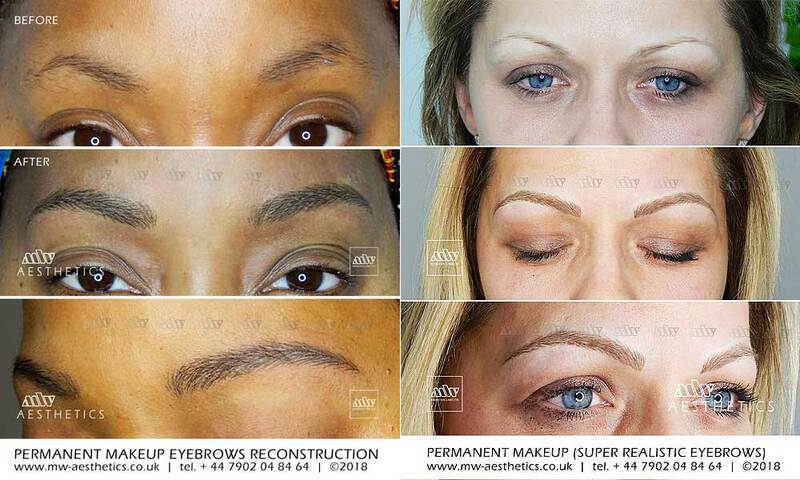 Design: Once we know what you’re looking to achieve, we can start designing your new eyebrows. We’ll sketch them out in front of you, and once you’re happy with the shape, we’ll pre-draw them onto your face so you can ensure they are completely what you want. Throughout the process we take pictures, so you can be confident we’re getting it right. Eyebrow tattooing: Working from the pre-drawn shapes we agreed on with you, we’ll begin the tattooing process. You don’t have to worry about pain, because we use a topical numbing gel to ensure your comfort. Some clients say they experience a slight scratching or a tickle, but it’s not a disturbing level of pain at all. Aftercare revision: Now that the process is complete, we’ll run you through the aftercare requirements once again to ensure you are confident with how to look after your new 3D brows. You’ll be given any creams or ointment you might need and will be encouraged to book your follow up appointment now. So that’s all there is to it. You’ll leave the clinic with your beautiful new brows, which will take a little while to settle down but should not cause any pain or prevent you from returning to your usual activities. We ask you to allow around an hour and a half for your follow up appointment. The cost of this appointment is included in your initial price and is a great opportunity to perfect your brows and ensure you are completely happy with the finished result. 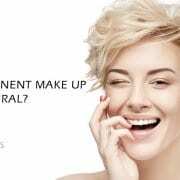 Face to face consultation: We’ll discuss how you feel about your 3D tattooed eyebrows, and how your aftercare has been going. Colour revision: The colour often settles in by the time we see you again, so this is a good opportunity to discuss whether you’re happy with the final colour or would like a change to be made. Shape revision: We’ll also talk to you about the finished shape. Sometimes when the tattoo settles in, the shape becomes slightly different to what we had planned. Or, perhaps you’ve decided you would like them fuller or somehow different to how they turned out. Tattooing: We’ll undertake a second course of tattooing, to fill in any areas where the tattoo didn’t take perfectly, as well as to make any corrections to the shape or colour as discussed. Aftercare revision: As you’ll have had some further tattooing done, we’ll advise you again on your aftercare, as well as top up any products you may need additional supplies of. 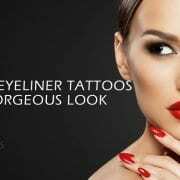 Our semi-permanent eyebrow tattoos last around 12 to 18 months on most people. Every person’s skin is unique, so there can be some variation to the longevity of this treatment. However, with care to prevent too much sun exposure, avoiding smoking or excessive alcohol consumption and generally caring for them, they could last much longer. Some clients get to enjoy their 3D tattoo eyebrows for as long as three years, but the majority will come back to us for a touch up at around 12 months or so. If you have any further questions about getting your eyebrows tattooed, about the procedure itself or anything else to do with our treatments, please don’t hesitate to get in touch.